In this math game you control a tiny robotic spider named Itzi, who lives with his family at the top of a strange old grandfather clock. One dark night, the clock struck midnight with a mighty mechanical ‘Clang!’. So loud was the noise that the whole clock rattled and shook, sending Itzi and his family tumbling down through its rusty innards. Now Itzi must climb back up the clock, rescue his stranded family members, and return home! 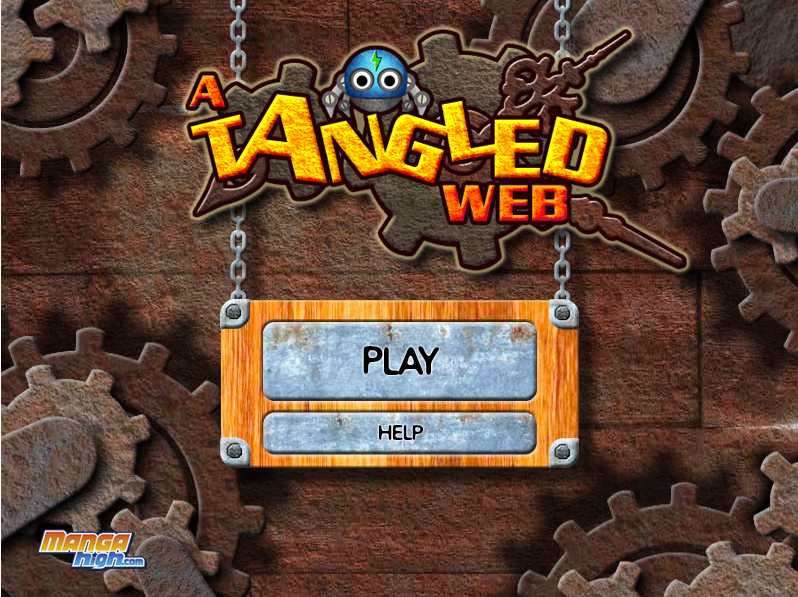 On each level Itzi must find a safe path through an intricate maze of tangled webs, solving cunning angle puzzles as he goes. You’ll need brains and bravery to succeed, so get going – Itzi’s family are depending on you!